for a very safe and forgiving recreational canopy. A canopy offering you stress-free thermalling, winching, cross-country and PPG flying. A canopy flying so good, that you wil remember it for a long time. And a canopy that would not ruin you. When designing Nemo 2 we focused on uncompromising passive safety (high degree of tolerance for turbulences and pilot faults), with special emphasis laid on behaviour at maximum speed (full speedbar). No less important was active safety, i.e. the paraglider’s capability of self-recovery form unstable flight situations. All those goals were successfully achieved, as confirmed by highest category EN A certification. Take-off is pretty easy, while in flight you will be surprised by good glide ratio. 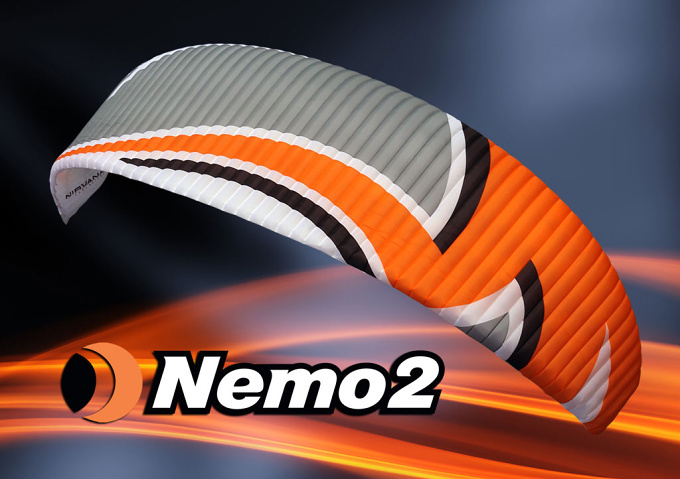 Nemo 2 is a docile wing, remains tolerant to chance steering or unintended weightshift inputs. Speed system effectively increases you air speed while remaining easy to use. 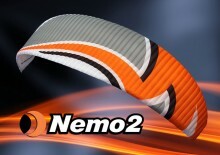 Click the button below to add the Nirvana Nemo 2 to your wish list.